Wednesday’s Coupe de France tie between fourth-tier side Monts d’Or Azergues and AS Monaco resulted in a 3-0 win for the Monégasque, but it was most definitely a Pyrrhic victory for the visitors. Star striker Radamel Falcao was dealt a severe knee injury late in the first half of the win, and the torn ACL he sustained will keep him out…well, a while. The club has not yet indicated how long the Colombian international will be sidelined, but Falcao has undergone an operation to repair the knee, and the general consensus is that he will miss not only the remainder of the Ligue 1 season, but the World Cup as well. The Falcao injury is tough for Colombia, as the 27 year-old sniper is his country’s best. Should he miss this summer’s festivities in Brazil, the Colombian team will need to rely on Porto marksman Jackson Martinez (who is a fine scorer in his own right) to handle primary scoring duties. But more than that, José Pékerman’s men are looking to make a splash in their first World Cup since 1998, and not having Falcao available would put a dent in their dreams of international glory. 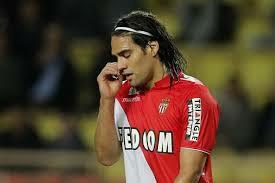 Monaco will also be impacted by Falcao’s bad knee. Despite some fluctuations in form and prior injury concerns, El Tigre is second-place Monaco’s leading goalscorer, with nine tallies in 17 league appearances. Monaco’s attack has been inconsistent this campaign; despite also adding João Moutinho and James Rodríguez in the summer window, the attack has been plagued by chemistry issues and poor health, registering only 34 goals in 21 league contests. In fact, the club as a whole has been hit hard by injuries; only two players, centre-back Ricardo Carvalho and goalkeeper Danijel Subasic, have played every league contest. The point is, Monaco already have problems with scoring consistently, and losing Falcao (despite his dip in form) will not help matters. Paris Saint-Germain are only six points clear at the top, but their formidable attack (Cavani and Zlatan have scored almost as many goals as Monaco’s entire team) combined with a massive +37 goal difference (compared to Monaco’s +20 GD) makes a complete collapse unlikely. Third-place Lille are winless in their last four league matches and have seen their goal difference fall from +14 to +11, but they currently find themselves four points back of the Monégasque. Saint-Étienne are eight points behind Monaco and missed a chance to gain ground on Sunday, losing 2-0 at Bordeaux. It may seem far-fetched, but a fourth-place finish would eliminate Monaco from Champions League contention and place them into the Europa League, a massive disappointment for a club that spent as much money as they did in the summer. So how do Monaco strengthen their grip on second place without their leading goal-scorer, and assure themselves automatic entry into the 2014-15 Champions League group round? 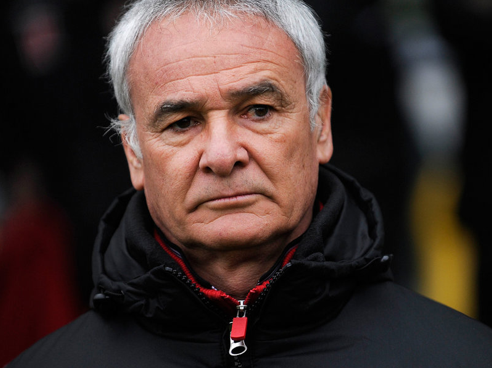 There are options for manager Claudio Ranieri. They’re a little more limited than they were, say, last week, but they’re still there. Ivorian striker Lacina Traoré sealed a loan move to Everton on Friday, and Stoke City are in talks (along with Crystal Palace) to sign Frenchman Emmanuel Rivière. Should a Rivière move be consummated, and assuming no shock acquisitions are in the works, Ranieri will be left with two forward options: Valère Germain and Anthony Martial. Germain scored 14 goals for the 2012-13 Ligue 2 champions, but seeing as the move to France’s top tier necessitated a spending binge, the Frenchman has seen his time on the pitch severely compromised; he’s appeared in only seven games this season. The 23 year-old was reportedly in talks with Guingamp regarding a loan spell earlier this month, but it appears as if those talks have stalled, which is good news for Monaco. Rivière staying put would be the best news of all. The versatile 23 year-old is second on the team with eight goals, and is capable of playing in the midfield and as a striker. However, in this scenario, he will see time as a striker. Ranieri’s contingency plan may or may not bear fruit, but the club remains in decent shape on the strength of their stingy defending. Monaco have conceded only 14 goals in 21 matches–only Saint-Étienne (13) have conceded fewer goals, and PSG are the only side conceding fewer shots per game. Also, Monaco are quite proficient at keeping the ball away from their opponents; their 57.4% possession percentage (62.3% at home) ranks second in the league. The loss of Falcao certainly isn’t a positive thing for AS Monaco, but the club does have some depth at Falcao’s position, and they have the defending necessary to survive. Look for Monaco to cobble together a sufficient number of goals and continue to keep the ball away from their goal in holding off Lille for second place in Ligue 1. This entry was posted in Features, Ligue 1 and tagged Falcao, Monaco, Paris Saint-Germain. Bookmark the permalink.